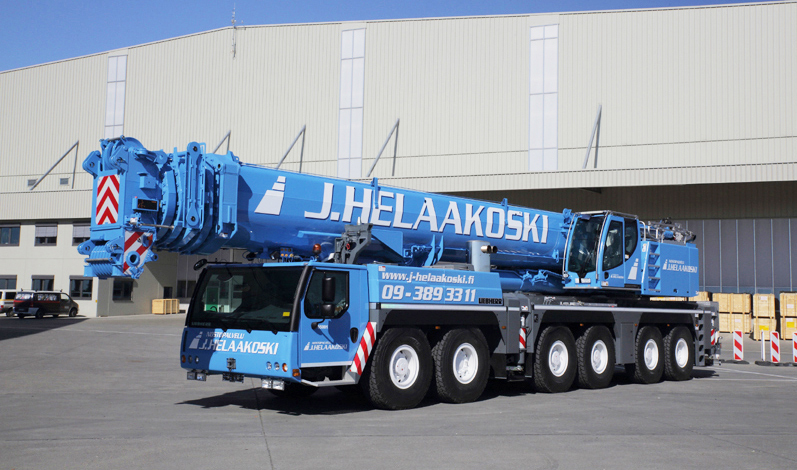 In the largest size category Lifting Service J. Helaakoski Oy can provide a comprehensive selection of mobile cranes. There is altogether a dozen of these machines; the predominant brand is Liebherr, plus one Terex. The largest machine in terms of lifting capacity is Liebherr LTM 1750-9.1, this crane provide exceptional capacity to mobile crane segment. 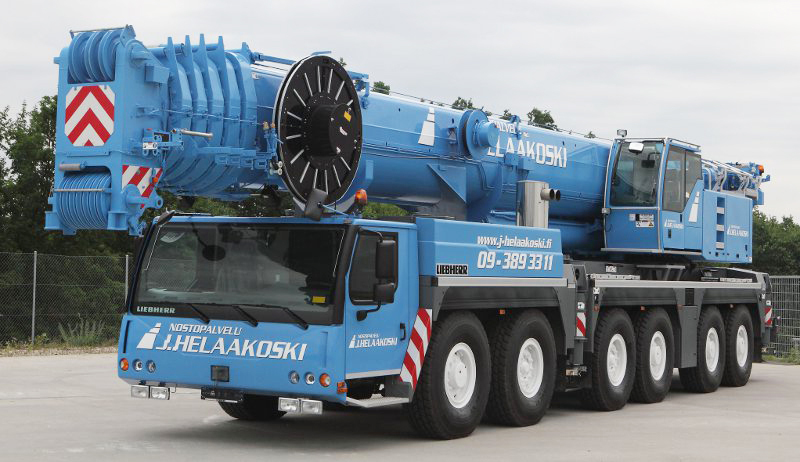 For lifting big or heavy loads, company fleet also offer Liebherr LTM1500 and Liebherr LTM1350-6.1. 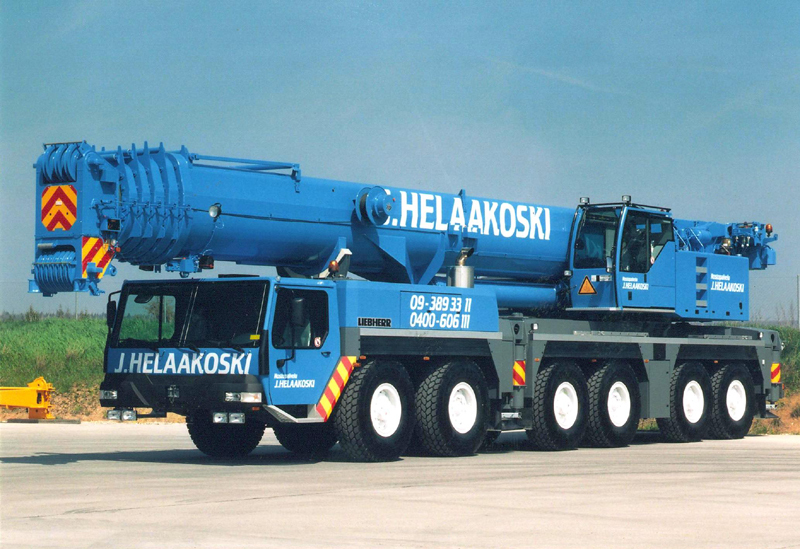 The company has several mobile cranes representing other size classes of this category, e.g. 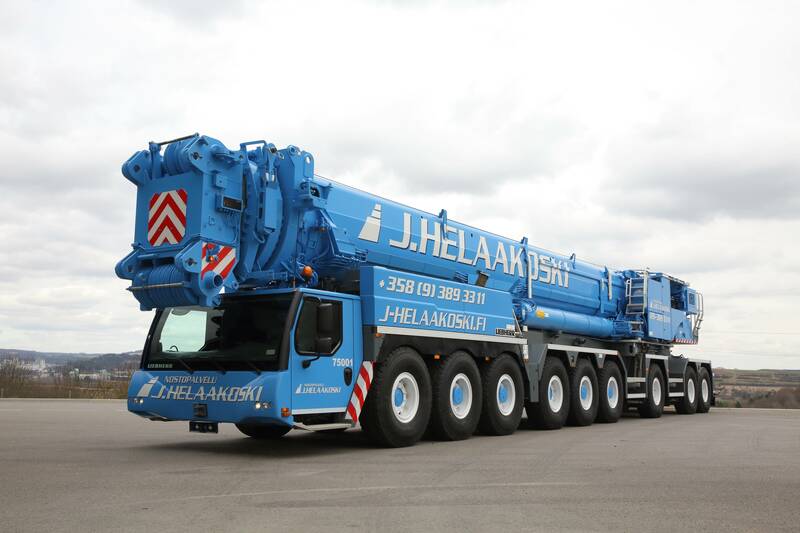 the fleet of the company includes two 250-ton cranes, and as many of five 200-ton cranes. 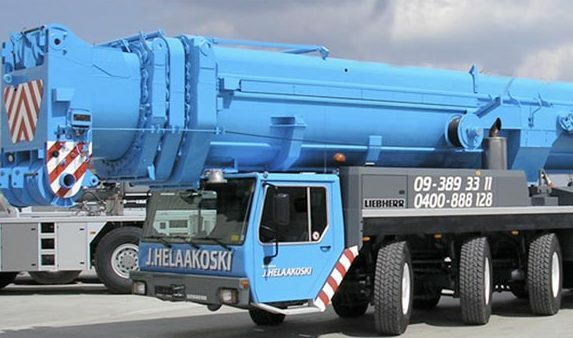 The mobile cranes of this size class are capable of handling truly major lifting operations for industrial purposes, and other special-purpose lifting operations. 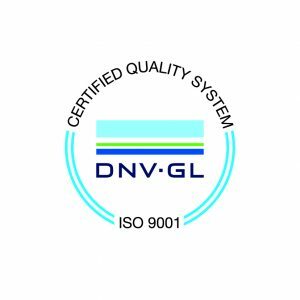 If necessary, loads weighing several hundreds of tons can be lifted in a combined lifting operation. All our mobile cranes with the lifting capacity of 100 tons and higher, feature a boom camera, which considerably improves lifting safety. All our mobile cranes with the lifting capacity of 130 tons and higher, are equipped with two winches, which makes it possible to turn easily even larger elements at the work site and facilitates a number of other types of specialised lifting operations. Moreover, all our 130 ton and larger lifting cranes feature a luffing lattice extension.